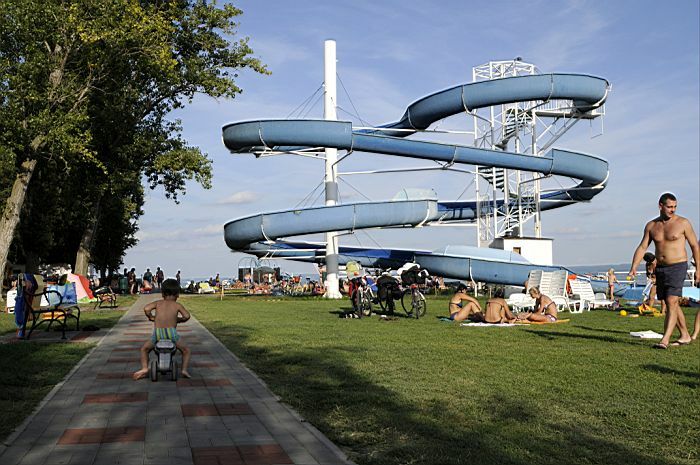 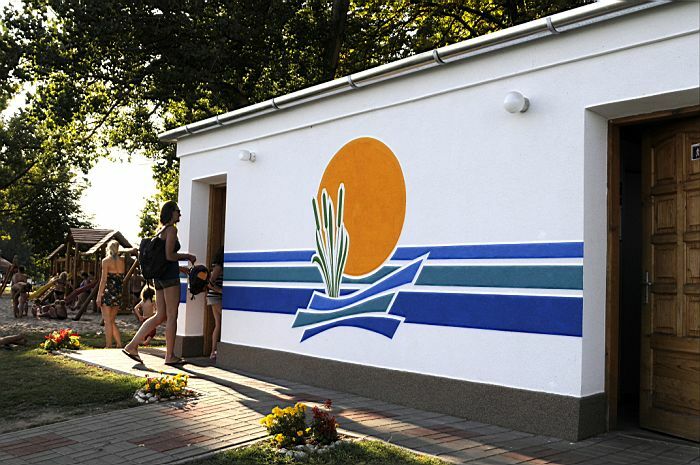 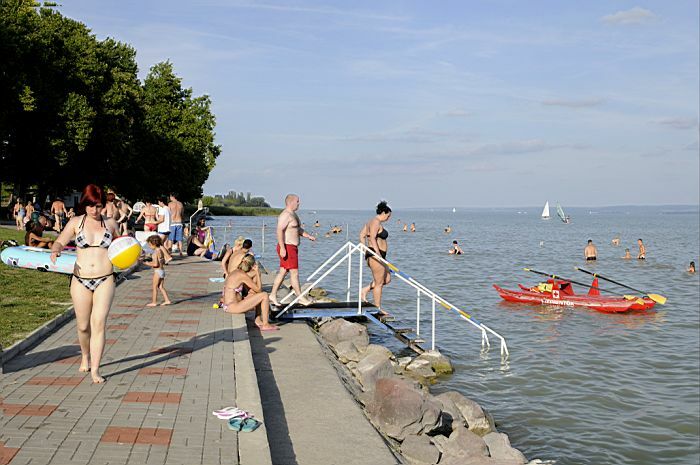 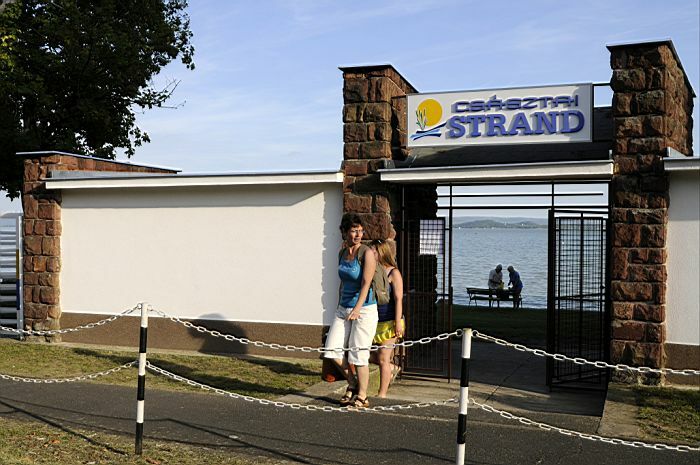 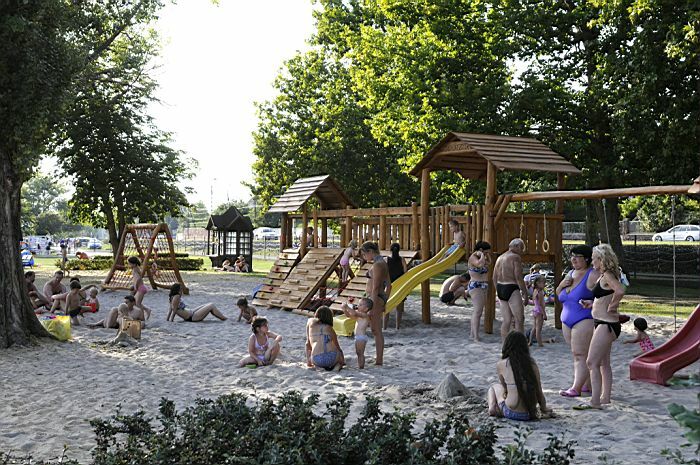 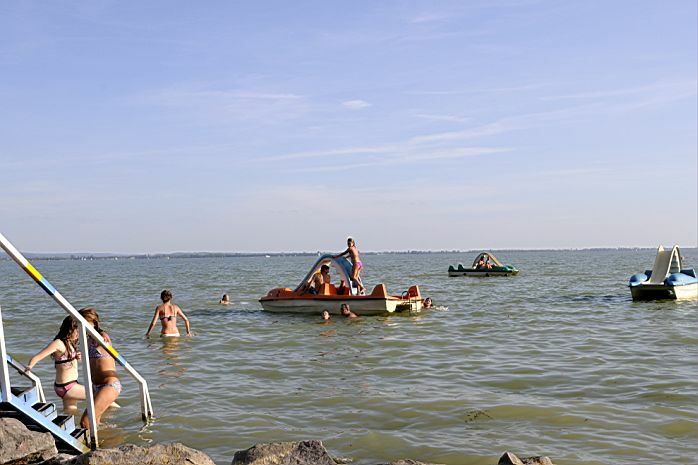 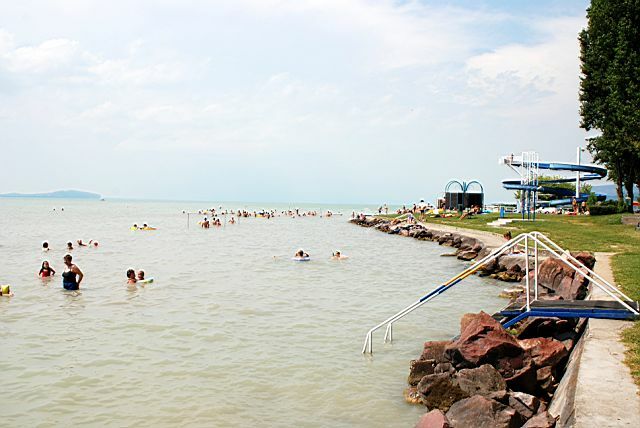 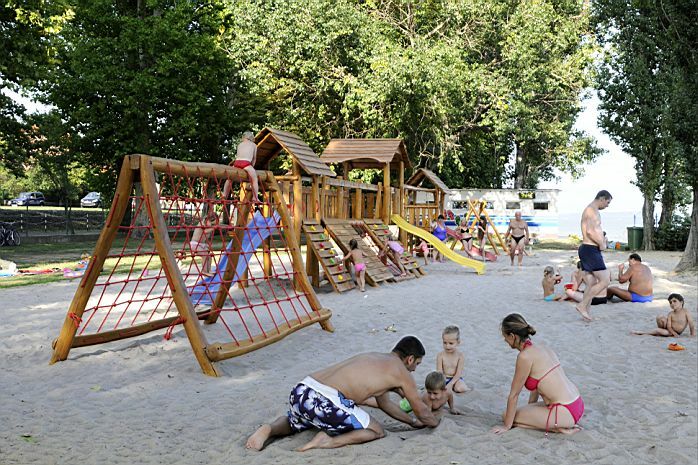 Császtai Beach is situated in the west part of Révfülöp, near Road 71, the railway and the cycle path. 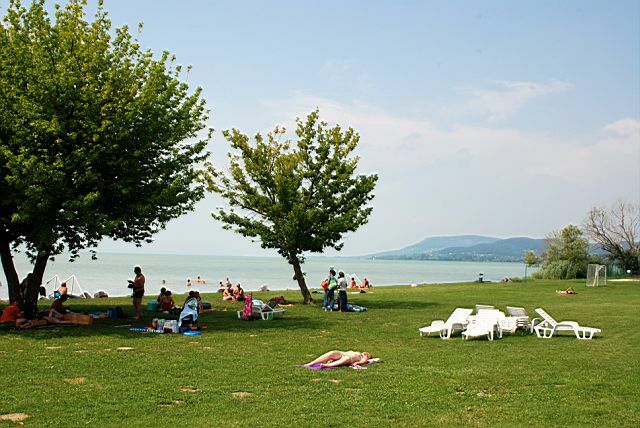 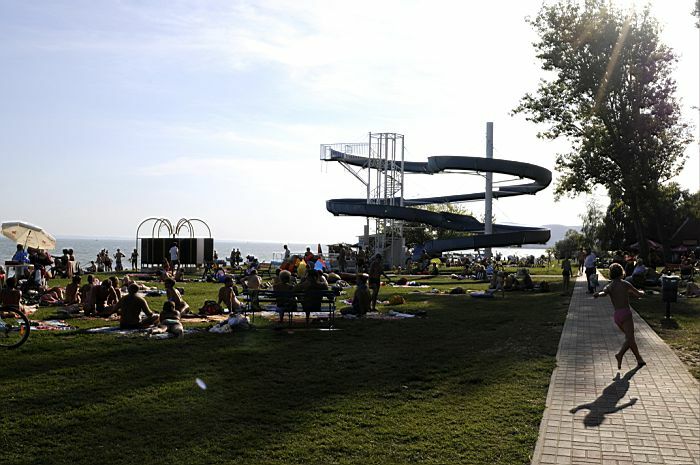 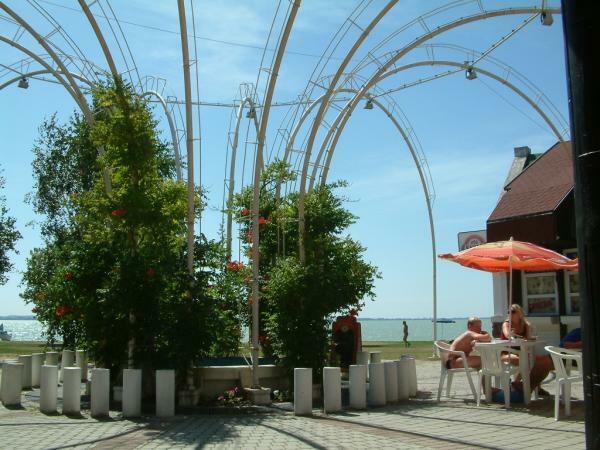 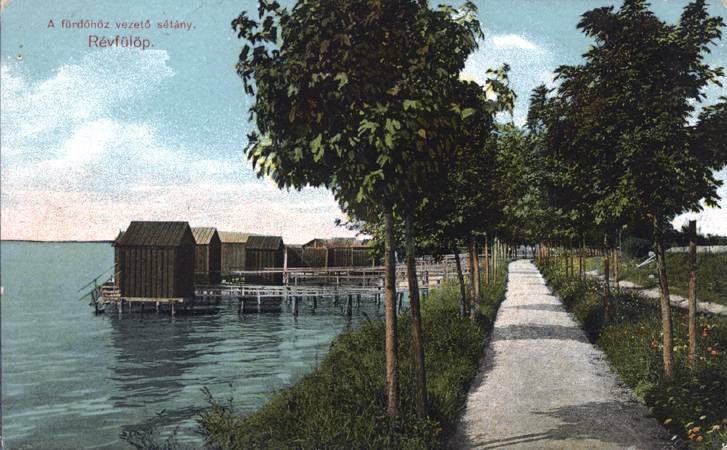 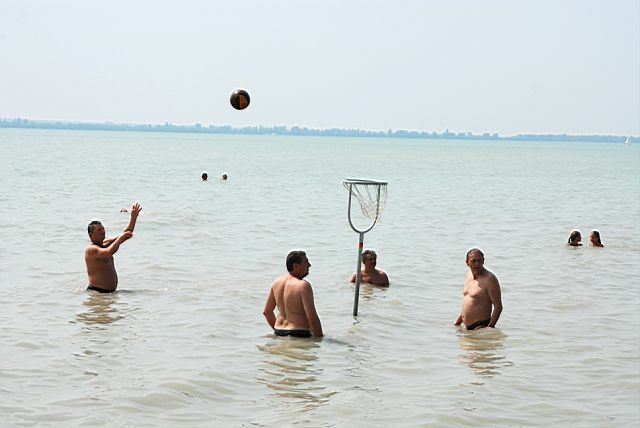 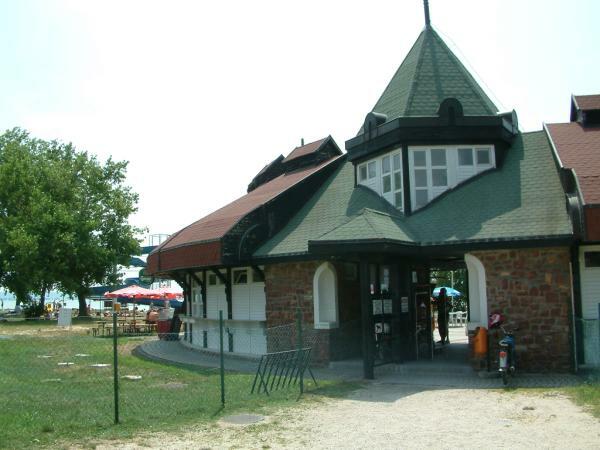 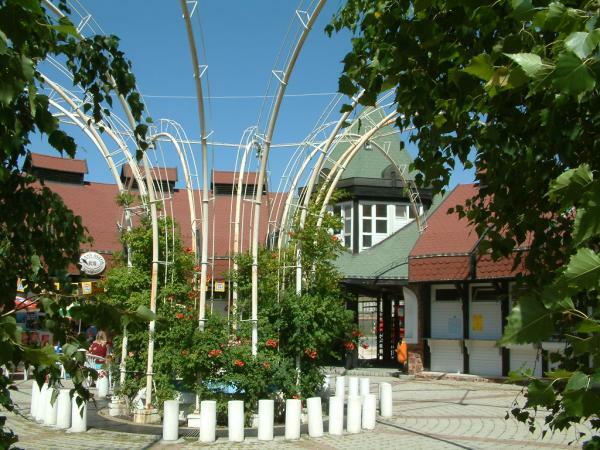 Like Szigeti Beach it was also established by the Beach and Shore Improving Association existing from the beginning of the last century. 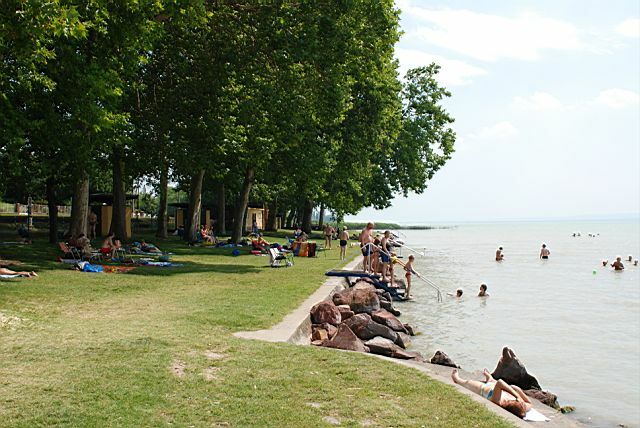 The ancestors' careful work can be seen in the hundred-year-old row of plane trees surrounding the beach. 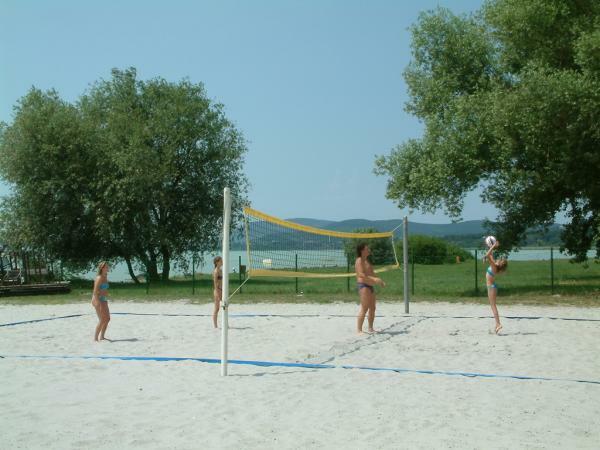 The beach can be approached easily and it has got a car park, too. 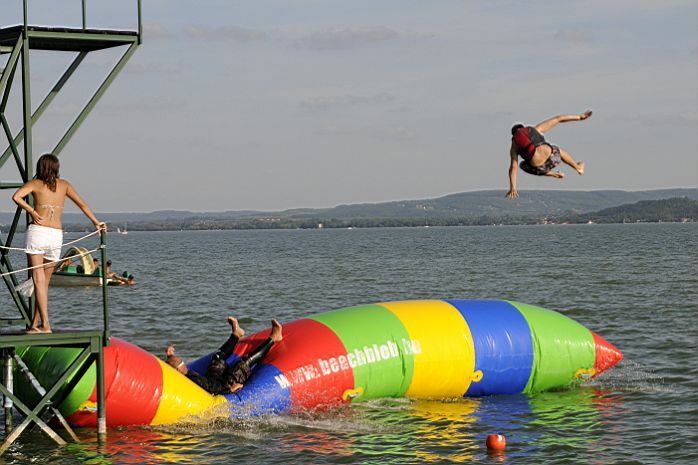 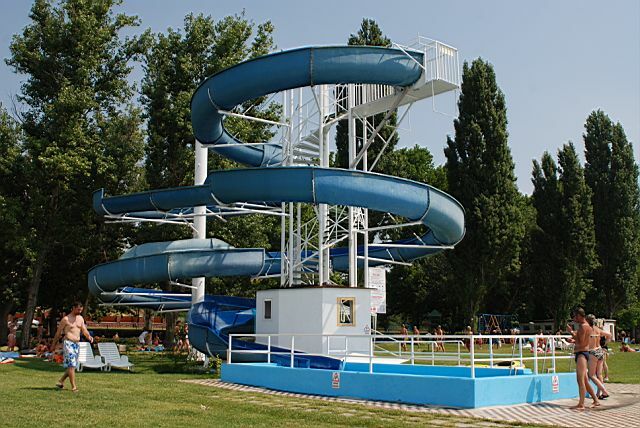 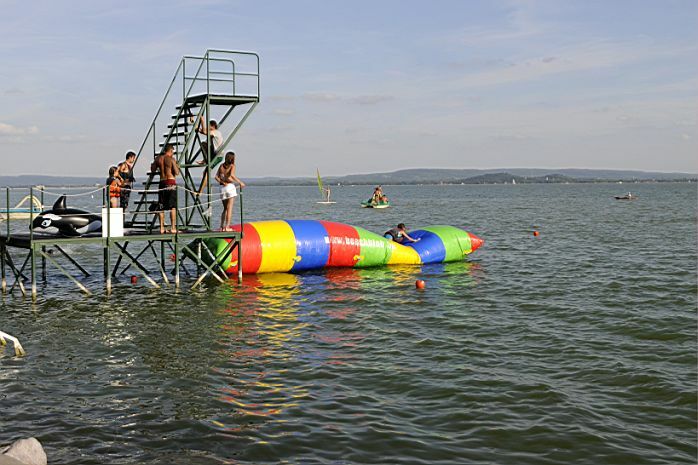 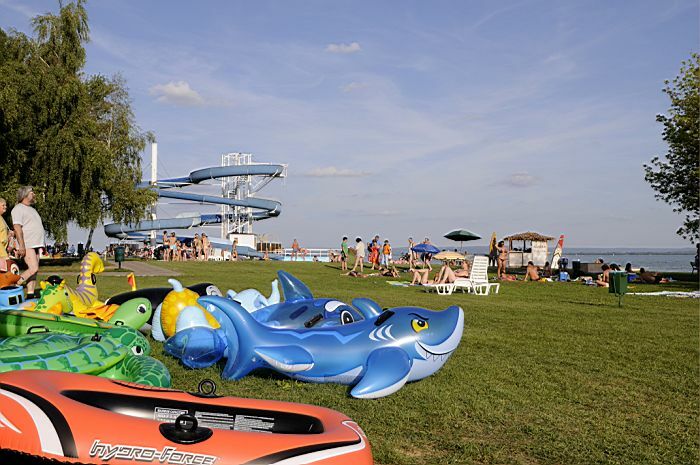 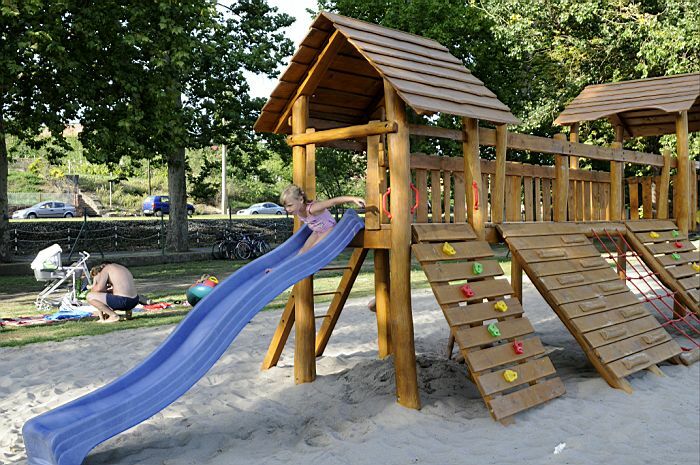 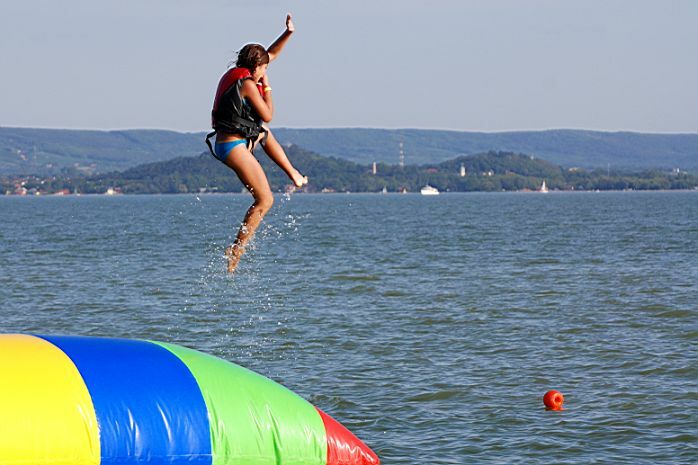 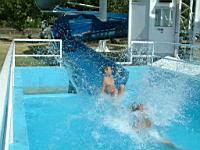 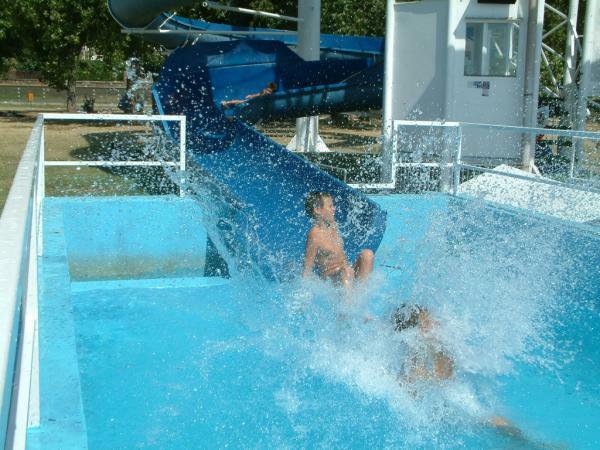 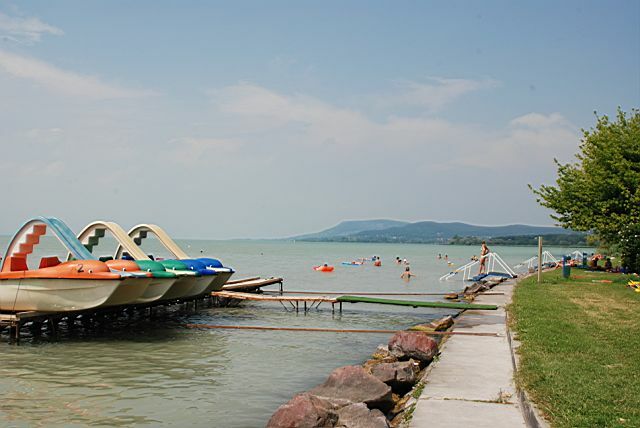 A new main building, servicing units, water-slide, volleyball ground, playground, hire service of water sports goods can be found on its territory. 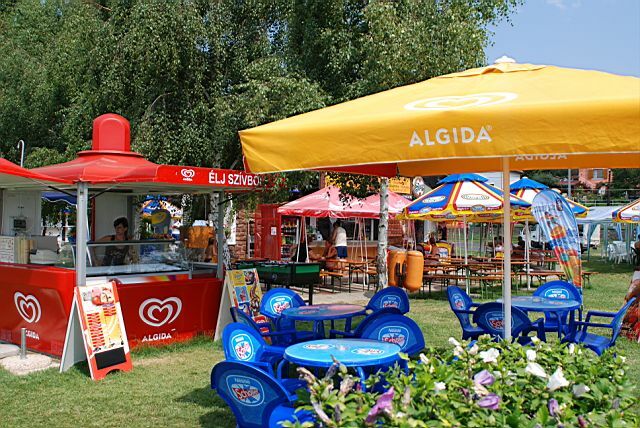 The tickets contain 27 % VAT. 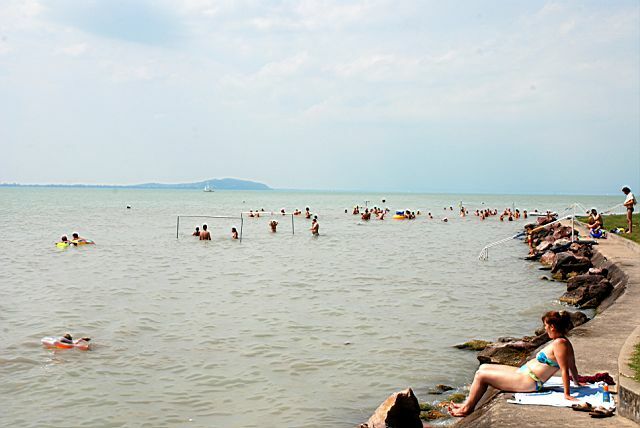 On the territory of the beaches fishing is forbidden in the season (15 May - 15 September). 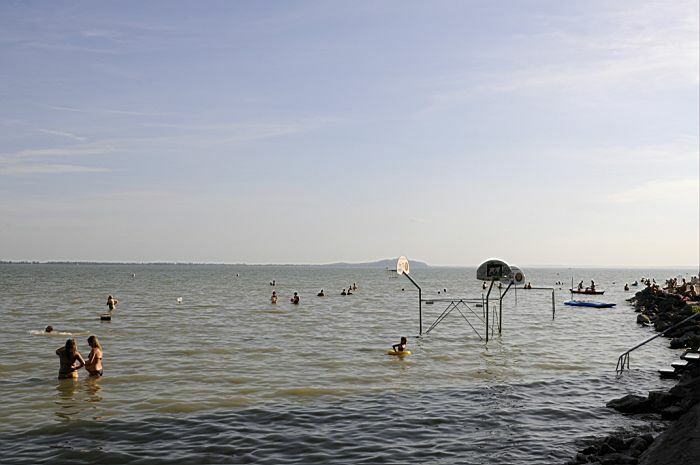 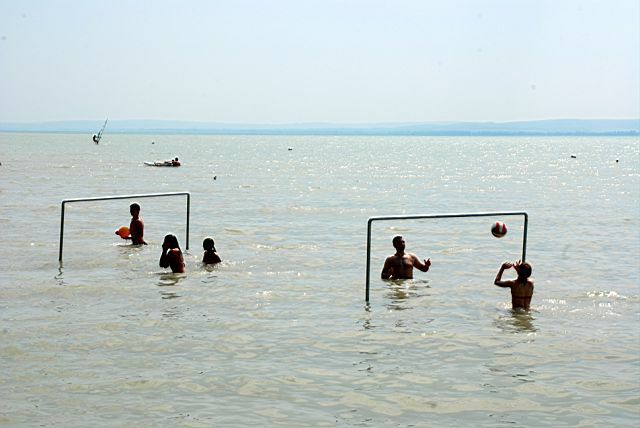 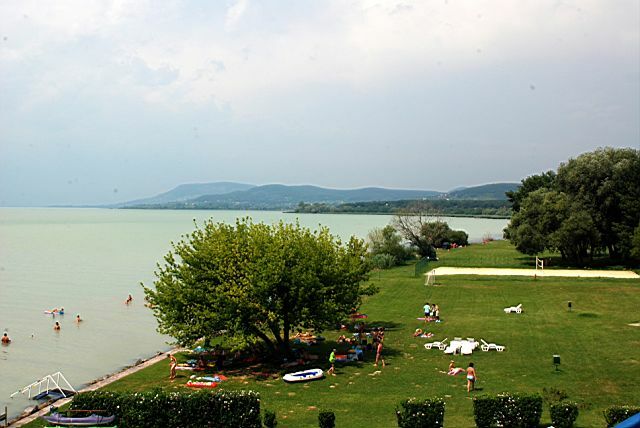 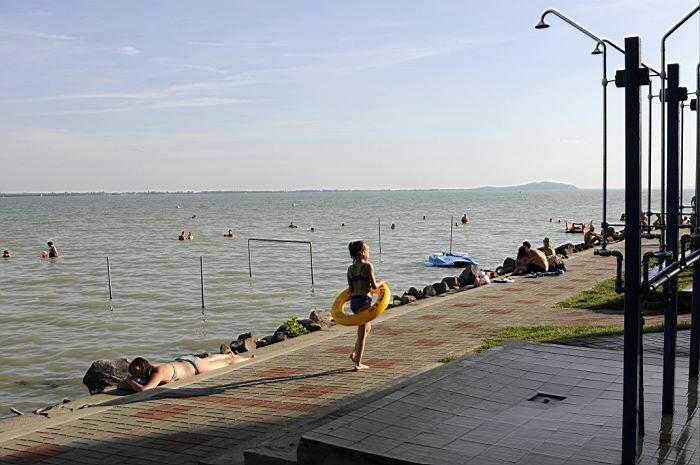 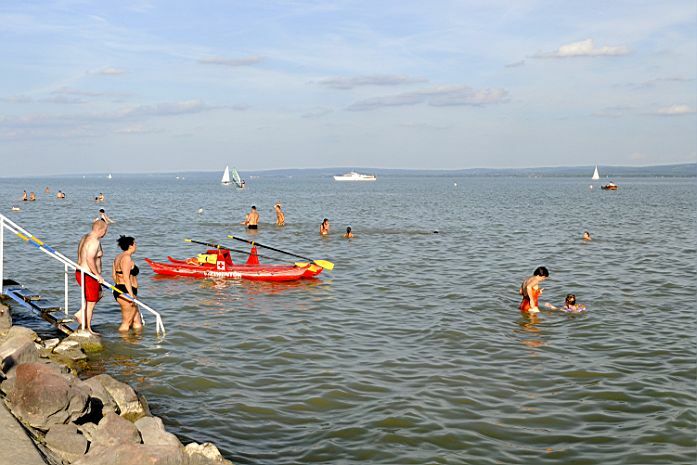 and to let a dog swim in Lake Balaton.